Every year or two a drink – one that has generally been around for years, sometimes centuries – suddenly becomes trendy again. We saw it with prosecco and then gin, so what’s next on the horizon? The Cognac industry raised its game in 2018 when it increased the XO (extra old) age classification from a minimum of six to 10 years. We’ve seen an influx of cognac bars open in the capital recently and sales of the French ‘brandy’ continue to increase year-on-year. Similar to other geographically-indicated French products like Champagne, to be called Cognac, it must be from Cognac and that helps give it an edge over other brandies. Mezcal is produced in the state of Oaxaca in southern Mexico and, like tequila, is also made from the harvested core of the agave plant, is traditionally bottled with a worm and uses the same defining terms: blanco, reposado and anejo. However, while tequila is typically produced by steaming the agave inside industrial ovens before being distilled two or three times in copper pots, Mezcal is cooked using a wood-fired oven and is distilled in clay pots, giving the spirit a pungent smokiness. While it may well have been the pre-dinner drink of choice in its native Spain for centuries, in the UK Sherry is generally banished to the back of the drinks cabinet, only to rear its fortified head at Christmas. The wine trade has been banging the sherry drum for years and finally it looks like the rest of us are beginning to take notice. Sherry has started to make an appearance on cocktail menus across the country and new Sherry brands like Xeco are helping to expand the drink to an audience that is rather more youthful than your nana’s generation. Whisky has broken free from the confines of cigar smoke-filled rooms with a number of innovations, demonstrating whisky is not just and old man’s drink. While 2018 was all about the Scotch, this year looks set to be a big year for Irish whiskey with a whole bunch of liquid from new distilleries about to come of age. 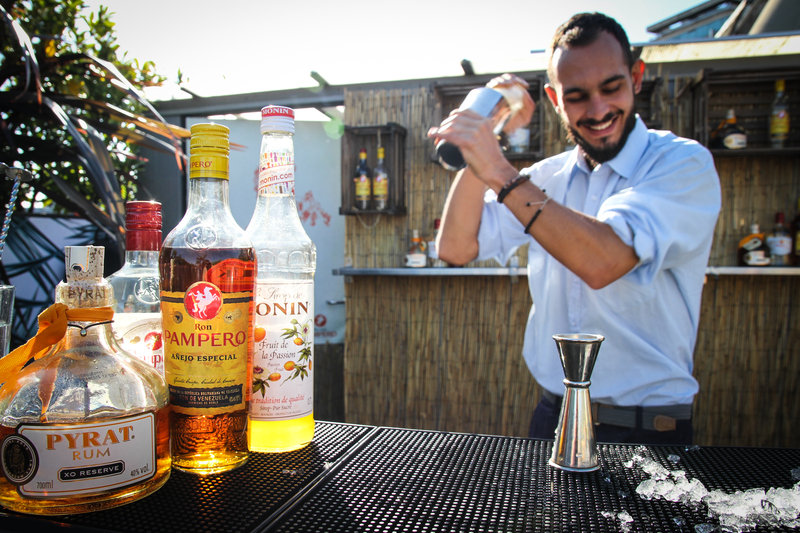 There are whisperings of a Rum Renaissance, with many arguing it’ll be hot on the heels of gin in terms of international sales and popularity this year. Rum makers are raising the bar with more limited edition rums and spirits made with real creativity and sophistication emerging. Although the rum itself usually comes from the likes of the Caribbean, we see UK rum brands finishing their spirit here with cask conditioning or turning them in to spiced rums. New, small-batch rums with a modern spirit are hitting the market – Look out for some exciting creations here!